Price Creek area adjacent to Interstate 90 in August 2013.
of wildlife crossing structures. Photo courtesy of CWU. We all know why the chicken crossed the road, but do we know why the cougar crossed or how? In an effort to protect animals and motorists near Snoqualmie Pass, researchers at Central Washington University are monitoring and researching wildlife along the Interstate 90 corridor. The project is the largest study of its kind ever conducted in the United States. In 2008, we entered into a partnership with CWU where our agency funds the research performed by CWU faculty and students at animal crossing zones on a 15-mile stretch of interstate. WSDOT uses the data gathered by CWU to establish a baseline to measure against past construction and to refine project designs so the habitat at the crossing locations will connect the largest number and variety of species. More than 20 large wildlife crossing structures—including three major overpasses at two locations—are proposed between Hyak and Easton as part of the ongoing I-90 Snoqualmie Pass East project. 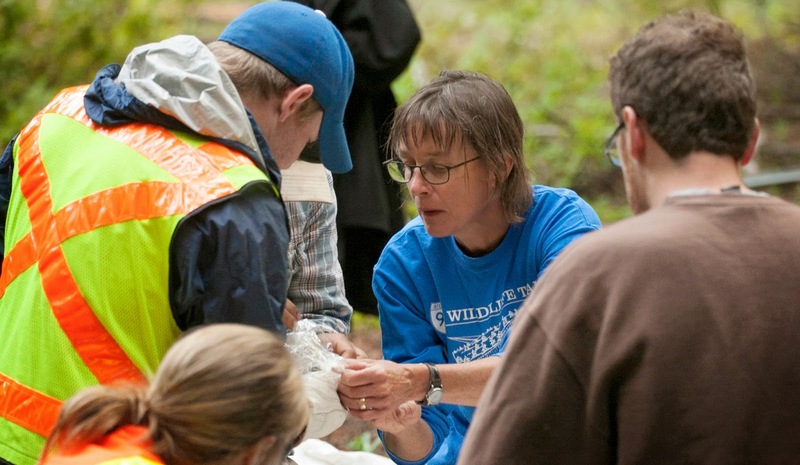 For the past seven years, CWU researchers have focused on fish, amphibians, and small mammals. They’re discovering critical information about what species inhabit the project area and are learning how the freeway affects animal behavior and survival. If you would like to learn more about the important work CWU researchers are performing, stop by the CWU Museum of Culture on the Environment and check out the newest exhibit: How did the Cougar Cross the Road? Restoring Wildlife Passages at Snoqualmie Pass. The exhibition is located on the first floor of Dean Hall on D Street in Ellensburg and runs through spring 2015. Watch a YouTube video of the CWU team’s work. This entry was posted on Friday, April 25, 2014 at 11:02 AM and is filed under "I-90 Snoqualmie Pass East project" "CWU Museum of Culture on the Environment", "Snoqualmie Pass" "Central Washington University" I-90 "Interstate 90" wildlife "wildlife monitoring". You can follow any responses to this entry through the RSS 2.0. You can leave a response.